Katy is our Vice President and started with MFM in April, 2005. 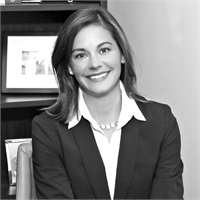 Katy received her bachelors degree in Finance from the University of Dayton in 2003. She is fully registered with her series 7, insurance license and specializes in writing comprehensive financial plans. Katy enjoys traveling, being involved in the community and living in Grandview, OH with her husband Matt, daughter Evie and son Maxwell.